ULURU stands as a symbol of the Outback and its vast emptiness, a tourism magnet that draws more than 300,000 visitors a year. It is high on the checklists of overseas tourists and they head there in droves to experience the "real Australia." Unfortunately, having just spent four days there, I can report that their chances of meeting and speaking with any of the indigenous people on whose land The Rock stands and who are so closely identified with it are slim. You would think that one of the most popular tourist destinations in the country and the one most synonymous with indigenous culture would present a magnificent opportunity for the local Aboriginal people to tell their story to the world. Instead, on our experience, that task is left to people with no links to the land, its culture or its traditions. The guide who escorted us on the 11km walk around the base of Uluru was an ex-farmer from Pretoria in South Africa. The guide who showed us through Kata Tjuta was from Hobart and another hailed from the United States. 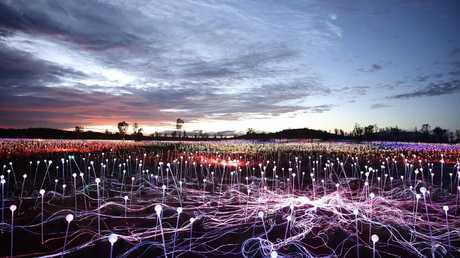 The guide who presided over our trip to the Field of Light was a pleasant Japanese gentleman with an imperfect grasp of English and the bus drivers were all white Australians. We visited a shop in the village centre where the indigenous girl behind the counter had to ask the non-indigenous manager for the answer to our query about an item on sale. The staff at the hotel where we stayed were predominantly Japanese while the hotel executive staff appeared to be mainly from the Indian subcontinent. I saw two young indigenous girls working at reception and one in the restaurant. There may have been more but they were not present in any significant number. We went to the Sounds of Silence dinner in the desert and were served pre-dinner drinks by an assortment of youthful Asians and Europeans whom I suspect were backpackers while the didgeridoo player who played at dinner looked about as indigenous as I do. We spoke to Canadians, Swiss, American and German visitors who echoed our thoughts on the curious invisibility of the Aboriginal people of Uluru. It seems that opportunities for indigenous employment and to promote Aboriginal culture through interaction with visitors are not being seized. Uluru is very much about money and those thinking of postponing that holiday in Bali and seeing Australia first should contemplate the cost. We stayed at the Sails in the Desert hotel where we were charged an eye watering $600 plus a night for a standard hotel room that anywhere else would be $300 or less. There is less expensive accommodation but the rates are all double what you would reasonably expect to pay. We headed for the bar after a six hour morning tour where a cocktail was $23.50 and a stubby of beer $11.50. Admission to the park is $25 a head for a three-day pass and payable only in cash if you fail to book online. Our "Sounds of Silence" dinner was $420 for two including drinks, making it the most expensive buffet we have ever experienced. It's difficult not to feel that you are a captive audience and being charged accordingly. I appreciate that Uluru is remote but it is difficult to justify the prices being charged. Then there is The Rock. According to our guide, since it became known that climbing is to be banned, there has been a surge in visitor numbers driven by people wanting to climb it before the ban takes effect on October 26, 2019 to coincide with the 34th anniversary of the return of Uluru to traditional owners. A sign at the point where the climb begins says: "Too many people do not listen to our message. Too many people have died or been hurt causing great sadness. We worry about you and we worry about your family. Please don't climb." Thousands ignore it and visit the site with the sole intention of climbing it. They head straight for The Rock, their antlike silhouettes as they ascend the steep, narrow path plainly visible. Fearful that the ban will reduce numbers and revenue, the traditional owners have looked at alternate offerings to appease those who would climb Uluru. Incredibly, they have settled on a blimp, an airship that ascends to a height of about 200m but remains tethered to the ground via a cable and winch. 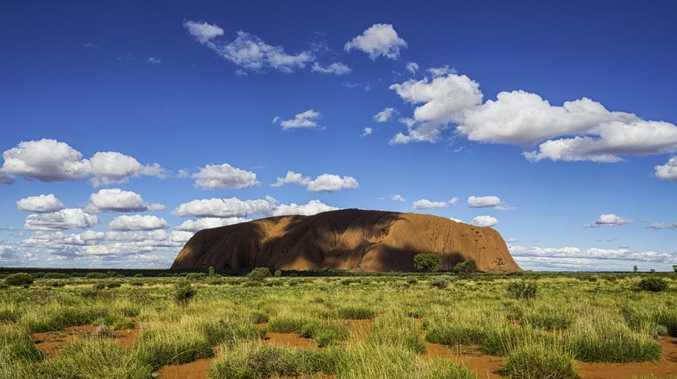 Denied a rock climb, it is hoped tourists will pay $85 to climb into an open gondola and view Uluru. The airship hangs in the air, a floating blot on the wide, flat expanse of the Outback. It is cheap commercialism at its worst - Disneyland comes to Uluru. If the traditional owners expect people to give the sacred sites at Uluru the respect they deserve and take their culture seriously, they'll get rid of the airship. When the ban was announced by the management board of the Uluru-Kata Tjuta National Park, it said one of the reasons for doing so was that the site was not "a playground or a theme park." Reconciling this view with the decision to allow the airship is difficult. 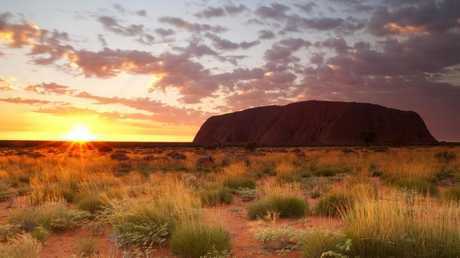 Go to Uluru. 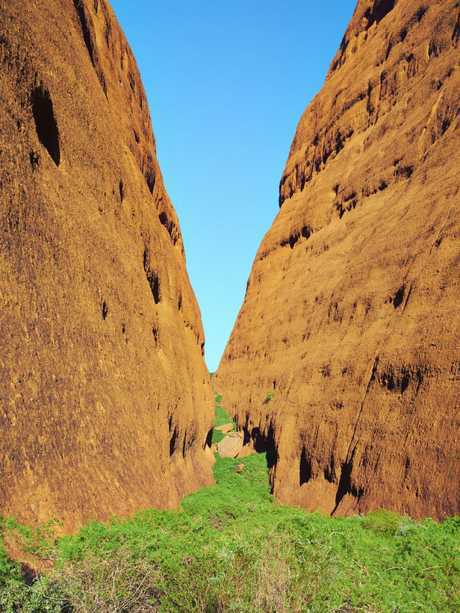 Stand in a gorge in Kata Tjuta, feel the wind in your face, look out across the ancient land and be transported to another place. Just don't expect to meet the people who own it. Mike O'Connor is a columnist for The Courier-Mail.